I recently returned from a fantastic two-week trip to Italy and France. It was the perfect holiday: the architecture and scenery were stunningly beautiful and I never tire of strolling the streets of European cities, window-shopping and people watching. And then, of course, there was the food. We spent some time in Torino, Italy (more on that later) and then headed to Chamonix in the French Alps for a bit of skiing. 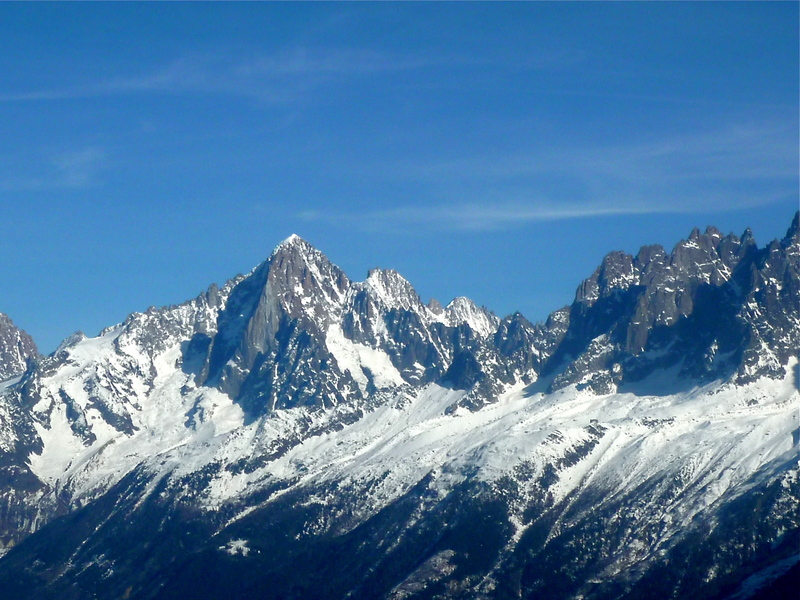 The commune of Chamonix is located in the Haute-Savoie region, just across the border from Italy at the foot of Mont Blanc. The area is surrounded by mountains and has a vibrant scene in the evenings once everyone has retired from the slopes for the day. 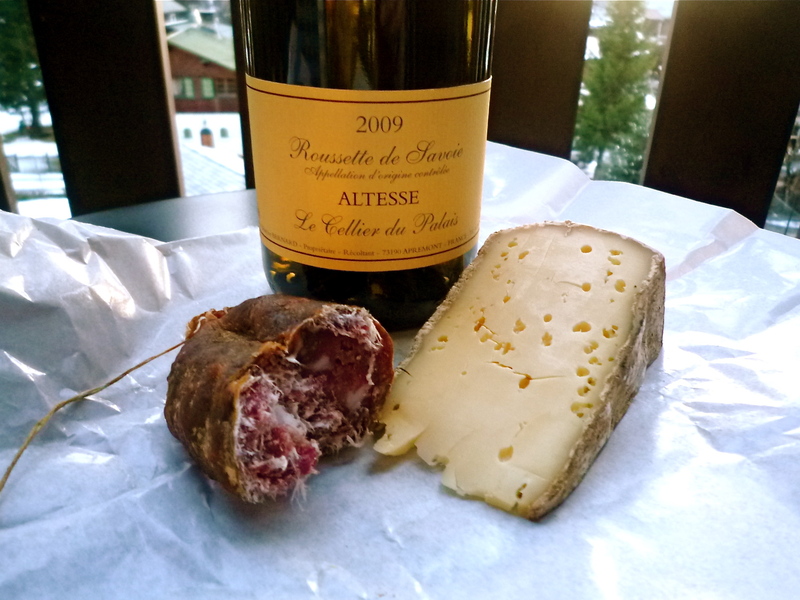 The cuisine of the Alps is seasonally-based and includes local wines,cured meats and fantastic cheeses such as tomme, abondance, reblochon and raclette. 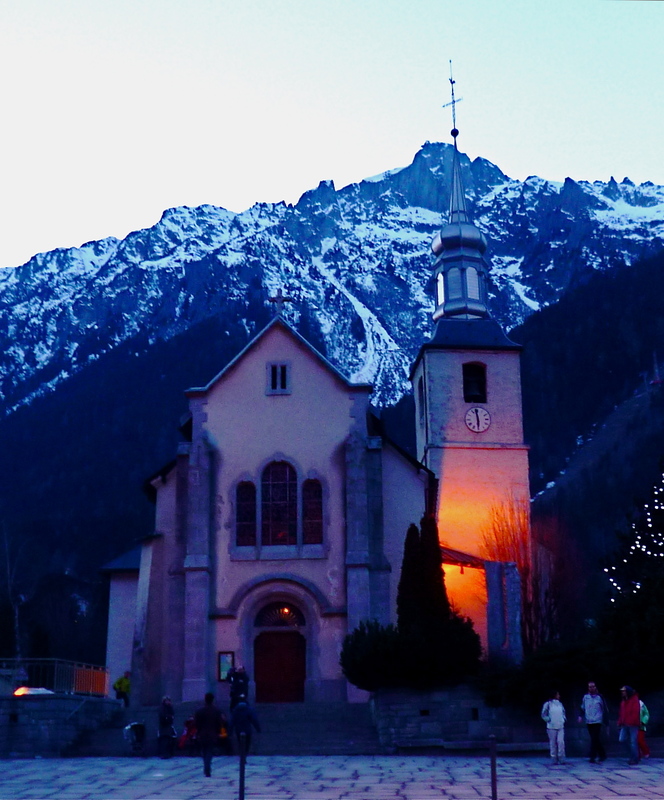 Dining in Chamonix is typically casual and restaurants often feature fun communal dishes like raclette (a local cheese that is melted and scraped onto potatoes), fondue (both oil-based and cheese-based) and hot stone (pierre-chaud) cooking, where slices of meat or poultry are cooked at the table on a heated stone. 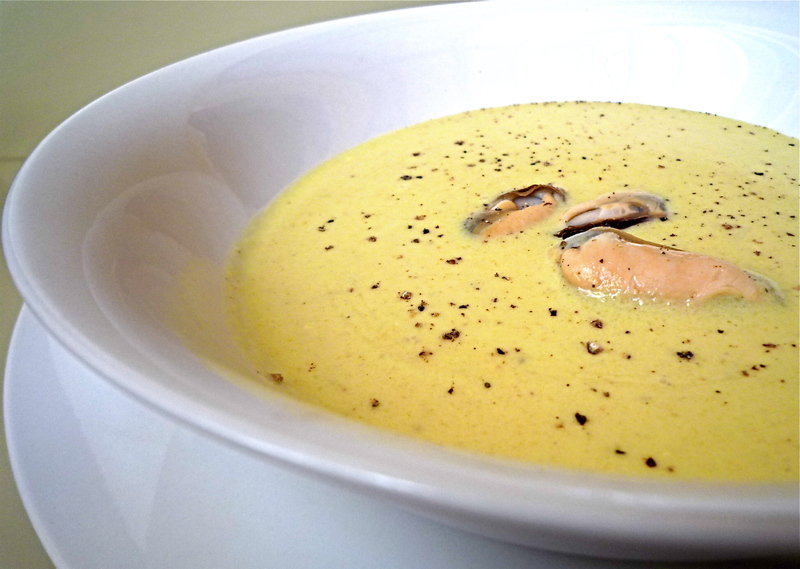 Onion and vegetable soups are common starters and potatoes often accompany meals. However, my favourite local specialty was tartiflette. Tartiflette, contrary to what I had thought, is not a tart but a dish of potatoes, onions, cream and bacon with cheese melted on top. Honestly, with those ingredients, you could probably stick an old shoe in there and it would still be delicious! It’s not light but after a vigorous day of outdoor winter activities, it fits the bill perfectly. 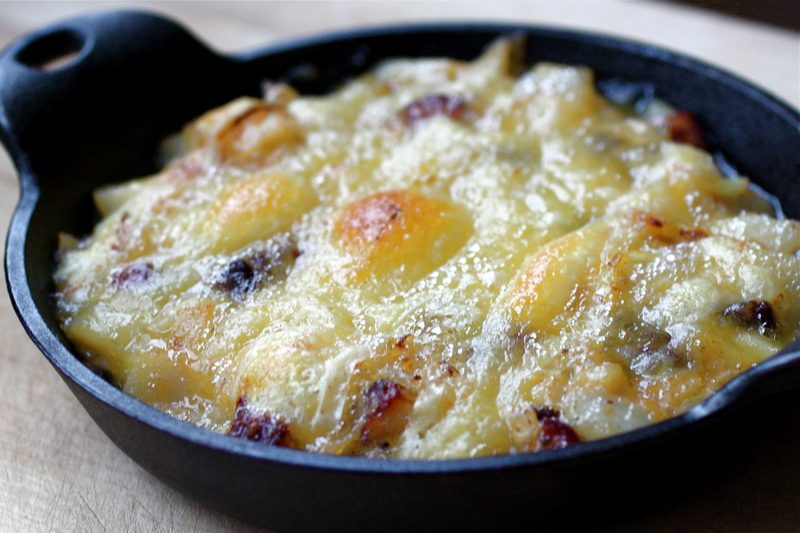 In the Savoie region, reblochon is the type of cheese typically used in tartiflette. It can be found in North America at most good cheese shops, however, if it is not available, you can substitute a tomme, fontina, raclette or brie (bearing in mind that the taste of the finished dish will be different but no less delicious). 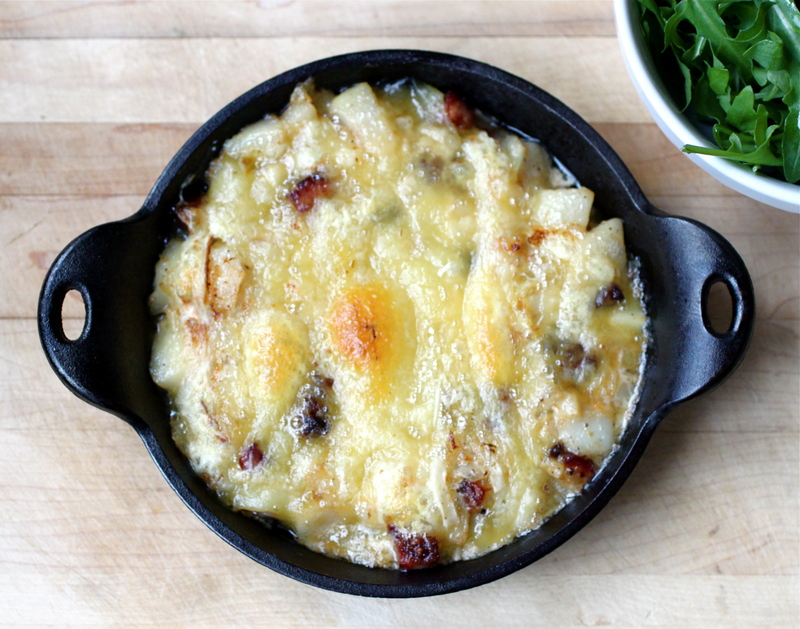 This recipe is a great way to use up leftover cooked potatoes. Heat a large skillet on medium-high heat and add the diced bacon. Cook the bacon until almost crisp, stirring occasionally, about 5 minutes. Add the chopped onion to the bacon. Reduce the heat to medium and cook until softened, about 3 to 4 minutes. Add the cooked potato chunks to the skillet and stir until the mixture is combined. Pour in the half-and-half and simmer gently on medium-low heat for about 5 minutes. Season with salt and pepper to taste. While the mixture is simmering, prepare the cheese. Slice the reblochon into thin slices about 1/4″ thick. Use a sharp knife to trim off the rind if desired (the rind is edible but it may be quite strong tasting and have a slightly gritty texture). Spoon the potato mixture into individual oven-proof dishes or one large casserole dish (if the skillet has an oven-proof handle, you can keep it in the pan if desired). Lay the sliced cheese in an even layer over the potato mixture. Let cool slightly and serve with a lightly dressed green salad. For anyone living in a northern climate, we’re into the toughest point of winter: the weather is frigid, the days are often gloomy and spring is still far, far away. The warm glow of the holiday season is a month behind us and people are starting to get cranky. However, there is no need to despair! It’s the perfect time to enjoy winter activities such as skiing, skating and sledding as well as indulge in our favourite hearty dishes. Here are a few of my favourite cold weather comfort foods. They’re not exactly diet-friendly but they are delicious and will be sure to warm you up! Braised Short Ribs – The most popular recipe on The Seasonal Gourmet, these ribs are perfect for cold winter nights. Serve with Horseradish Cream and mashed potatoes. Meatloaf with Zesty Tomato Glaze – Forget dry, boring cafeteria-style meatloaf: this version is moist and flavourful. Serve with lightly steamed and buttered green beans and mashed potatoes. 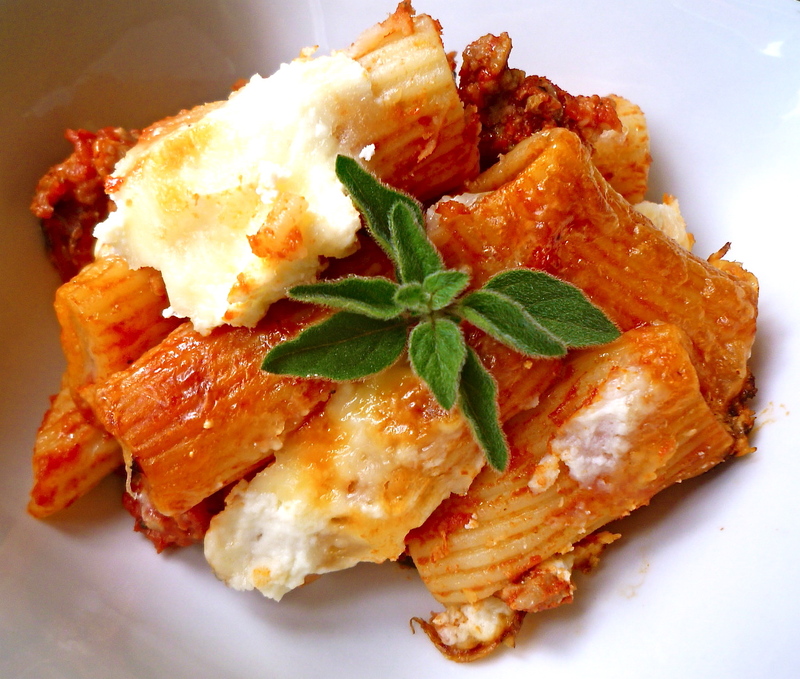 Baked Rigatoni with Sausage and Three Cheeses – Light? No. Delicious? Yes! This easy pasta dish can be assembled in advance and baked just before serving, making it perfect for busy nights. 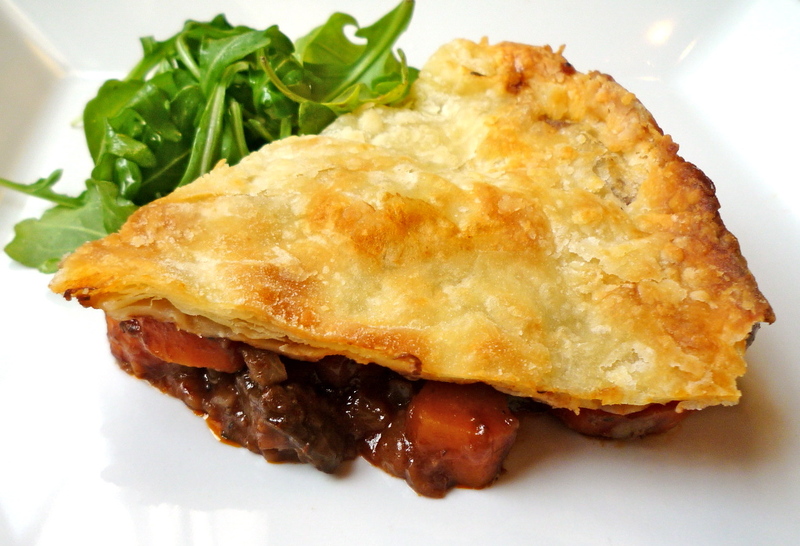 Beef Pie with Cheddar Crust – A hearty pot pie packed with beef chunks and winter vegetables in a rich red wine sauce. Topped with a cheddar-flecked crust, it’s a great dinner after a busy day of skiing or skating (see photo, above). Slow Simmered Ragu with Pasta – One of my favourite meals to make on a lazy Sunday. Once the prep work it done, it just requires low and slow simmering to develop into a rich and flavourful sauce. Juicy Herb Roasted Chicken – Roast chicken is the ultimate comfort food and this version doesn’t disappoint. Serve with mashed potatoes, Savoury Mushroom Bread Pudding and a green salad. Celery Root Slaw also pairs well with the chicken. Lobster Pot Pie – For a special treat, splurge on a bit of lobster meat to make this decadent pie. Serve with a simple salad. Steve’s Osso Bucco – This braised veal dish is ideal for snowy winter nights. Serve with traditional Risotto Milanese. Sausage and Mushroom Lasagna – Another Seasonal Gourmet favourite, this make-ahead dinner has layers of pasta and rich meat sauce, studded with mushrooms and topped with a hearty bechamel. Decadent and delicious! 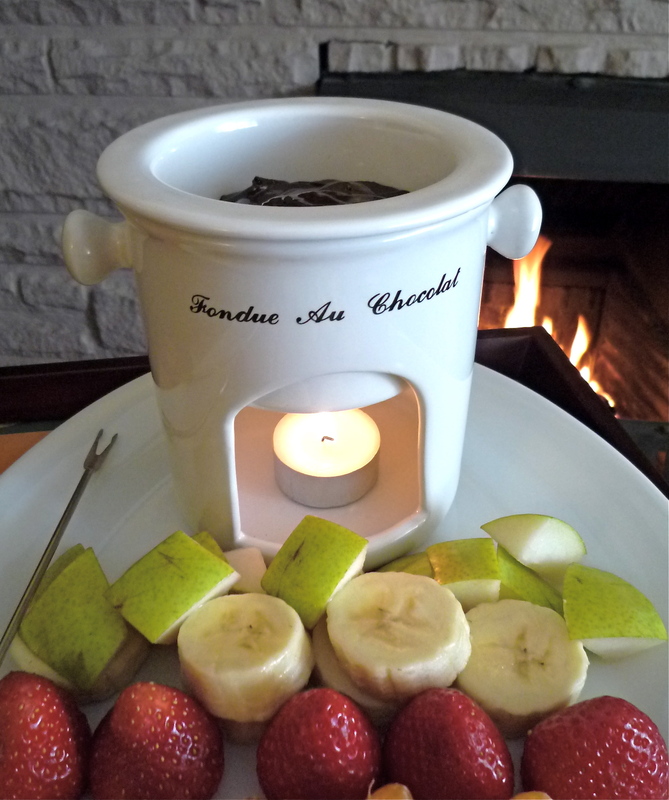 Chocolate Fondue – Melted chocolate, fruit and cake – what’s not to love? A staple of 70’s parties, fondue is making a comeback in the 21st century. Light a fire, gather ’round and enjoy! Pear and Pecan Bread Pudding with Caramel Sauce – Pears, nuts and a decadent caramel sauce make this dessert a favourite. Baked Apples with Apple Brandy Sauce – These baked apples are one of my new ‘go-to’ easy desserts. It’s simple to put together and the results are surprisingly delicious. Don’t let the apple brandy put you off – if you can’t find it, just use extra cider in the sauce. Serve with vanilla ice cream. Pumpkin Cream Puffs with Maple-Caramel Sauce – Cream puffs stuffed with a pumpkin pie-inspired cream filling and topped with caramel sauce – what more could you want in a dessert? Brownie Cheesecake Bites – Fun little desserts combining the best of brownies and cheesecake are just the thing to end a decadent meal. They’re also portable so you can pack them in lunches or take them on a picnic. Bon Appétit and Stay Warm! Now that fall has arrived and the weather has cooled, it’s soup season! 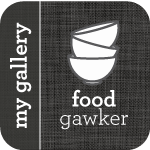 I love making soup and am always experimenting with different ingredients to come up with hearty versions that are a meal on their own (see below for links to my favourite soup recipes). Of course, crackers or bread are classic accompaniments to a comforting bowl of soup but why not try something different by making some hot, fresh biscuits? Use cold, unsalted butter – don’t substitute margarine. Don’t handle the dough too much. This will make the biscuits tough and melt the butter, keeping them from puffing up during baking. Use a wire pasty cutter (or two sharp knives) to cut the butter into the flour mixture. The dough should look like small, coarse pebbles once the dough has been thoroughly mixed in. Baking powder is the key ingredient to help the biscuits rise. Make sure your powder is fresh and still active. Buttermilk gives the biscuits a nice tangy flavour. If you don’t have buttermilk, check out these Buttermilk Substitutes. Regular milk is ok in a pinch but the biscuits won’t be quite the same. Use old or extra old cheddar for the best flavour. 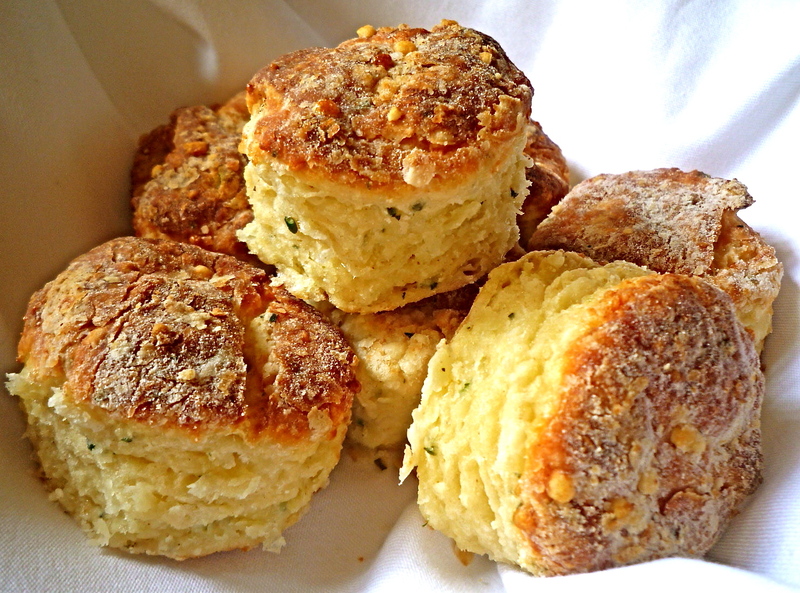 Cook the biscuits in a hot oven (450 degrees Fahrenheit) that has been adequately pre-heated. In a large mixing bowl, add flour, baking powder, salt, sugar and chopped herbs. Stir with a fork until combined. Add the grated cheese and use your fingers to gently distribute it through the dough so it’s not all in one clump. Cut the butter into small pieces and add to the flour mixture. Using a wire pastry cutter or two sharp knives, cut the butter into the dough until it looks like small pebbles. In a mug or glass measuring cup, add the buttermilk, egg and mustard and stir with a fork until smooth. Pour into the flour mixture and gently mix together until the dough just holds together. Sprinkle some flour onto a clean countertop and turn out the dough onto the counter. Use your hands to shape it so it just holds together. Flatten the dough so it’s in a circle about 1″ thick. Use a cookie cutter or the top of a glass to cut out round biscuits (a 2-1/2″ circle is a good size). Place the biscuits into a pie plate or baking dish so they are just touching one another. Re-form any dough scraps and cut out the remainder of the biscuits. Let the biscuits rest in a warm place for 15 minutes. Place the oven rack in the centre position and bake the biscuits for 15 minutes or until they are golden on top. Get updates for The Seasonal Gourmet on Twitter and Facebook. Join the conversation today! We’re living in difficult economic times right now. Every day the news features stories about companies downsizing and people losing their jobs. So why am I featuring a dish that uses an expensive ingredient like lobster? No, it’s not because I am an insensitive clod. Rather, lobster prices have recently been the lowest we’ve seen in years, meaning that lobster meat may be within reach without having to take out a loan. It also helps support the lobster industry which has been hit hard by the economic downturn. If you are able to find affordable lobster meat, this dish is well worth making. It’s great for entertaining because you can assemble the pot pie in advance and bake it when your guests arrive. A dish featuring lobster will always impress!